During my sophomore year of college I got semi-permanent (bead) hair extensions and although they looked amazing, I had the most awful overall experience. (They gave me a terrible headache for almost a week straight after application, they had to be re-adjusted every week or so due to hair growth, they itched horribly after two months and they were so heavy that they caused major hair loss upon removal.) Needless to say, the experience really scarred me. As they say, though, time heals all. So when Irresistible Me approached me about trying out their clip-in extensions I was ready to give it another shot. This time, my experience was amazing! Not only were the products amazing, but the resources provided ensured for the most flawless customer experience. My major concern when ordering extensions is ensuring that the extension color matches my natural hair as closely as possible. Colors on computer screens vary. One person’s explanation of a color may be different from another. The opportunities for failing to find the right color are limitless. With Irresistible Me, this was not an issue at all! Irresistible Me has a color matching video that explains and compares all of their available colors. The Pinterest image below is recommended to provide insight into the length you should order and other resource images and videos may be found all over their site for further assistance on application, care, etc. This was my first time apply them, so I definitely need to work on my blending and styling process, but in general I thought they looked amazing! Who doesn’t feel more fabulous with long locks!? Be sure to check out Irresistible Me if you’re thinking of changing up your look (even if you only want to wear them every once in a while)! Post in collaboration with Irresistible Me. All opinions are my own. I'm in the process of growing out my hair – but it's such a long process!!! I have been considering extensions so I'm going to check these out. Yours look great! These are beautiful!! I had thought about extensions a couple years ago when I chopped my hair into a bob (not a good idea) but I, too, was scared about damage or color mismatching. This look so natural and easy to apply! They look so natural and match your shade perfectly! I have Irresistible Me hair extensions and I adore them. These look gorgeous on you! 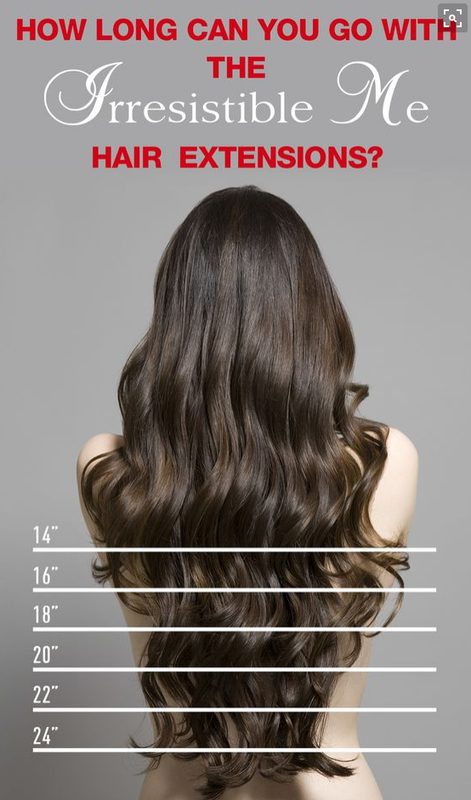 I've always wanted to try hair extensions! Yours look amazing! That color is a perfect match, they look great! They look great. The colour match is amazing. Wow! That looks so good! I want to try it! I'm super surprised at how the extensions match your hair color exactly!! This is so cool, Sara! Those extensions look like your real hair! I cannot even tell the difference! Gorgeous! The long hair looks gorgeous on you Sara! The color matches almost perfectly which is amazing! I LOVE clip-in extensions. When I had longer hair, I'd throw in a track or two all the time to change up my look. These look so natural on you! These look great on you! I used to use clip in extensions in high school and early on during college, they were so easy to use and had no damage!